This recipe looks great! Except for the olives, however I try olives I just can't seem to enjoy them. Maybe in this recipe they won't be so bad as they're chopped up small. 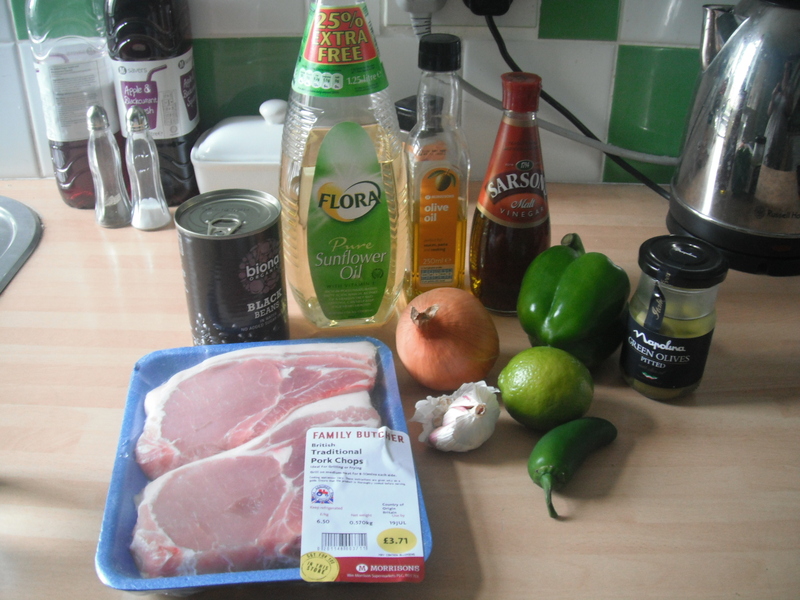 I was pleased that today for once the sun was shining which made eating food from Barbados a bit more realistic. 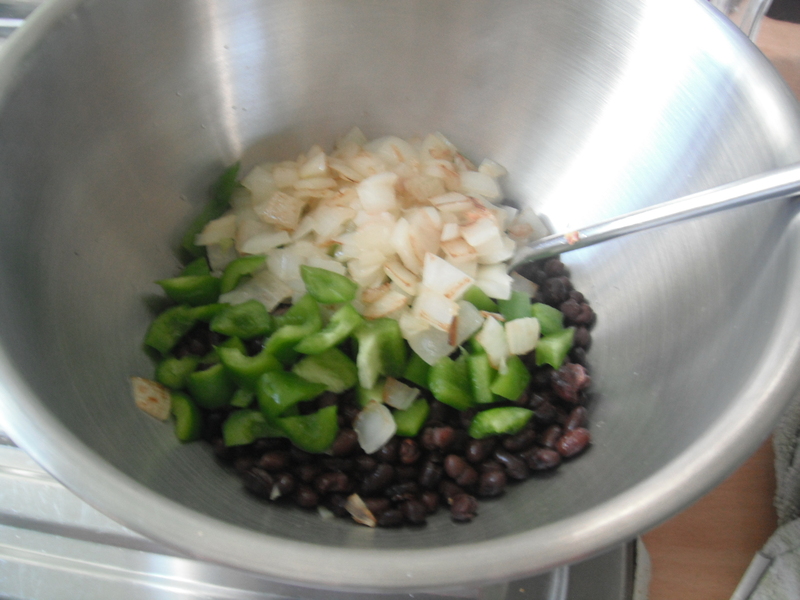 Chop and mix all the marinade ingredients in a bowl and then add the pork chops on top. 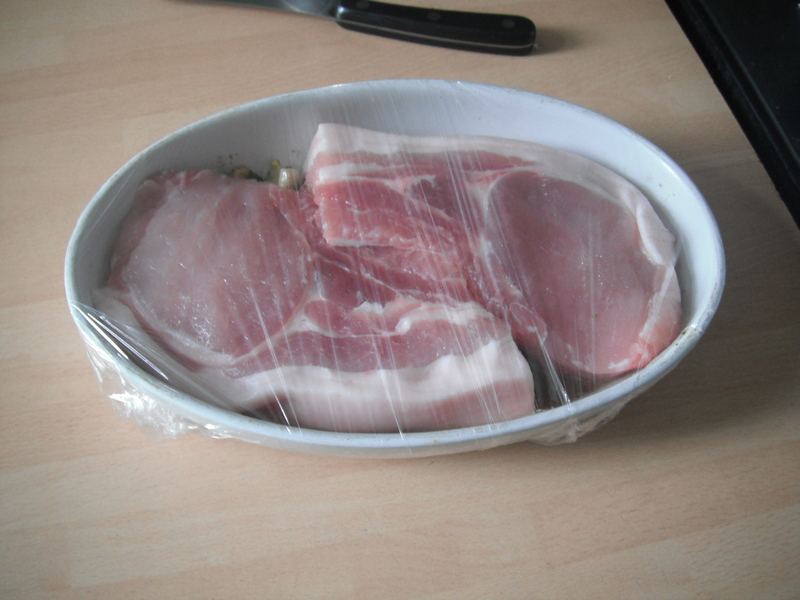 Cover with clingfilm and put in the fridge for several hours (turn the pork chops over about halfway through). 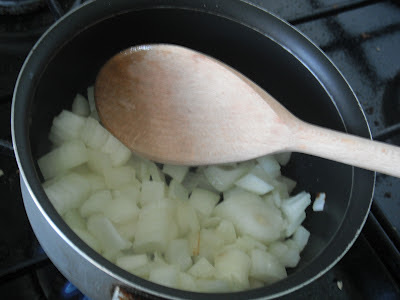 To start the salsa, heat the olive oil in a pan and add the chopped onion. Chop the bell pepper and place in a bowl with the drained black beans, vinegar, salt, hot sauce and the sauted onion. 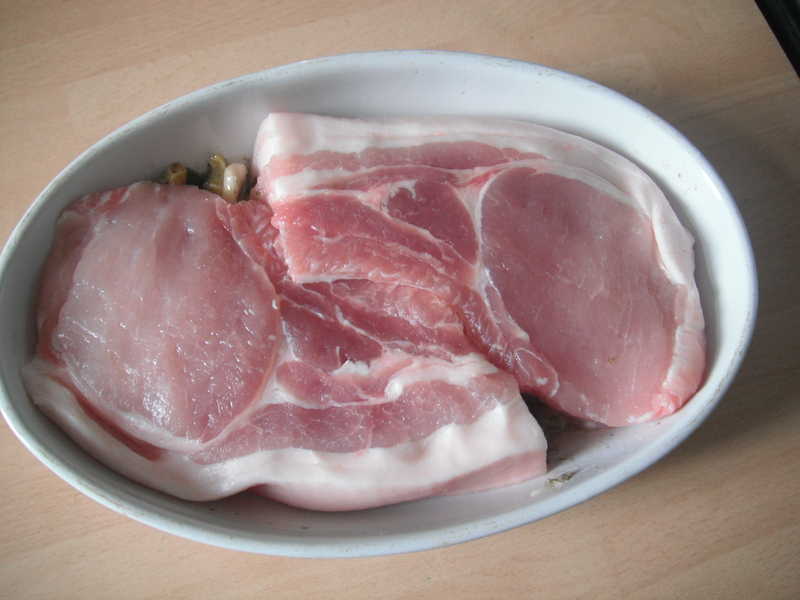 Mix it up and leave at room temperature to rest while you cook the pork chops. 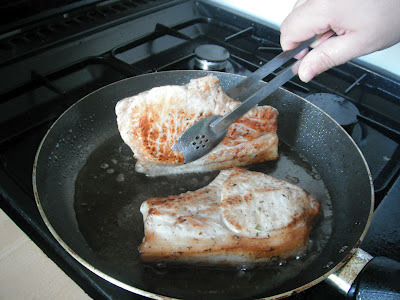 Take the pork chops out of the marinade and cook as you usually would (grill, fry, bbq etc). 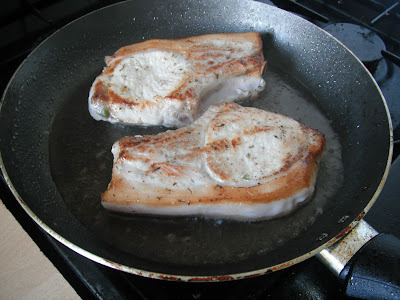 I chose to fry mine making sure to make the edges crispy too. Yum! Serve them with the salsa. I was disappointed that the pork chops hadn't taken on more of the flavours from the marinade. 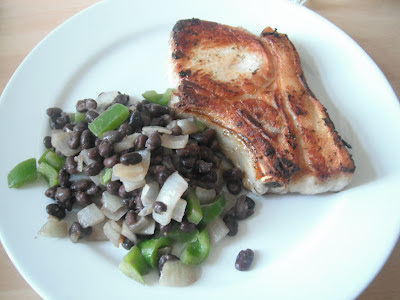 But, apart from that this meal was delicious! The salsa complimented the taste of the pork really well. 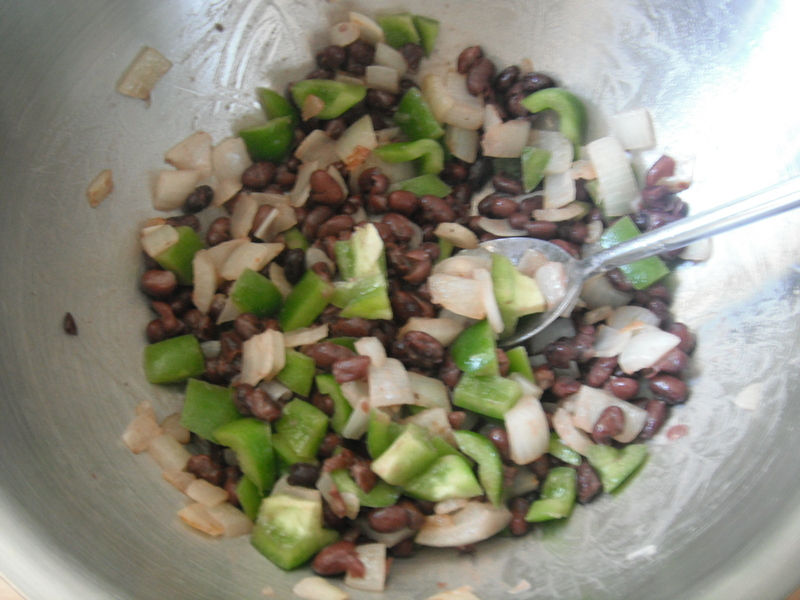 The vinegar in the salsa gave it a lovely sharp taste and the black beans were soft, almost creamy from the acidity of the vinegar breaking them down. It was a refreshingly different dish and I enjoyed it a lot.